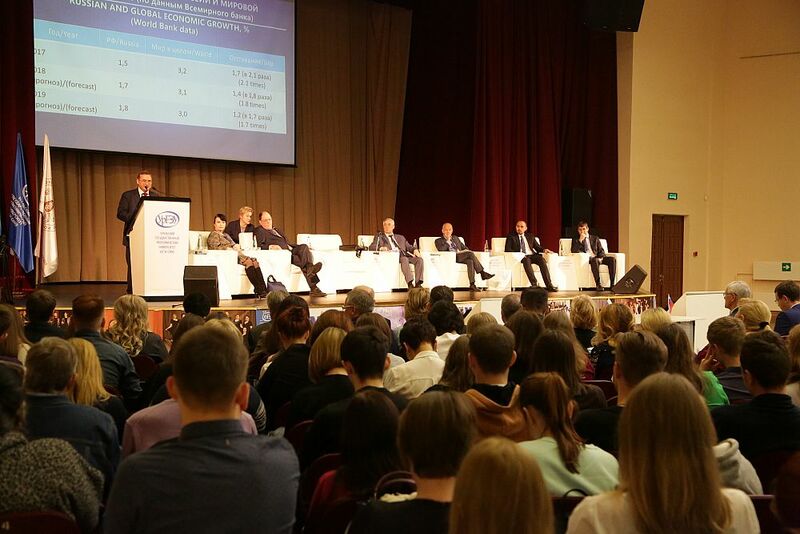 “Ural University of Economics continues the tradition of transferring the accumulated experience in the framework of scientific conferences. In a series of significant and useful events, the conference “Ural – 21st Century” is one of the most striking. 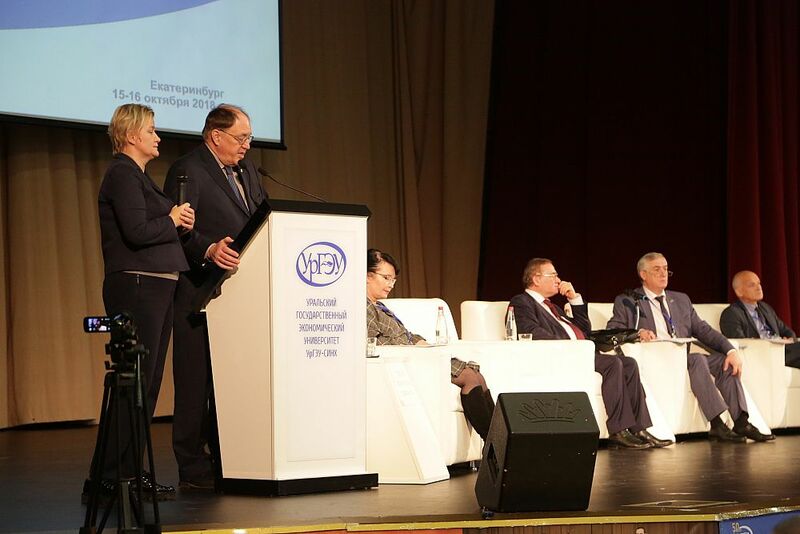 “It is during such conferences devoted to the development of industry and economy as a whole, to the current stage of industrial development, which is referred to as new industrialization, that interested representatives of science who work for higher education institutions and for academic institutions, exchange their opinions,” Yakov Silin said in his speech. In accordance with the minutes of the meeting of the USUE Academic Council dd. 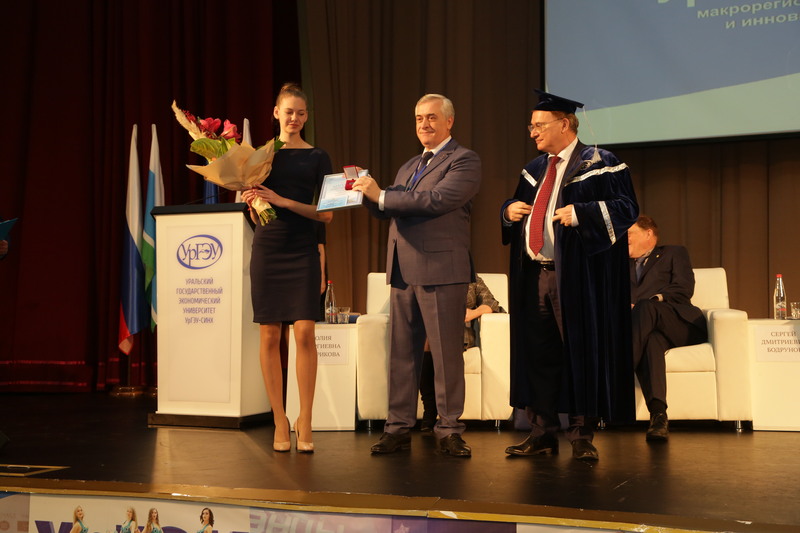 August 30, 2018, the titles of “Honorary Professor of USUE” were awarded to Prof. Sergey Bodrunov, Doctor of Economics, President of the Free Economic Society of Russia, President of the International Union of Economists, Director of the Institute for New Industrial Development named after S.Y. Witte, a RAS expert, an honorary doctor of sciences at Plekhanov RUE, and to James Kenneth Galbraith, an American economist, an honorary doctor of science at Plekhanov RUE, a professor at the Lyndon Johnson School of Public Affairs and at the Department of Government, the University of Texas at Austin, chairman of the Economists Allied for Arms Reduction (ECAAR). Yakov Silin invested the awarded with academic robes and presented them with badges of honor. 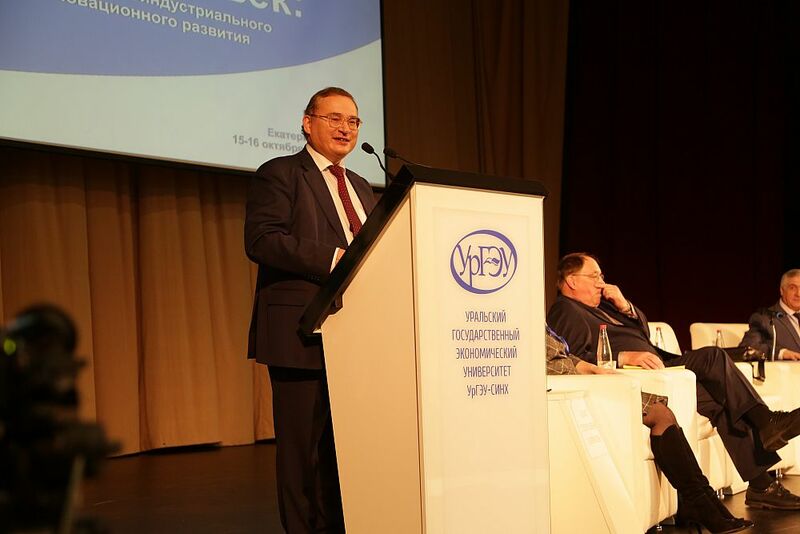 The USUE rector Yakov Silin, addressed the guests and participants of the conference with a welcoming speech.